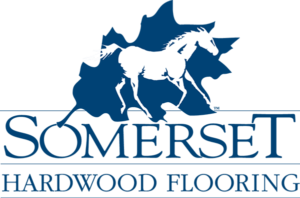 This emphasis on excellence, along with their commitment to environmentally sound manufacturing practices, are the core of what they do to provide you with the finest, most durable solid and engineered wood floors you can find. The solid Castillian Collection, available in maple and oak, offers four selections in 5-inch widths. The surface textures include smooth and wire-brushed options. This collection is protected by Mullican’s Alpha A’Lumina Real World Finish and carries a 25-year warranty. When used together with Mullican’s patented Aqua Shield system, the Castillian Collection provides a lifetime moisture warranty. This revolutionary system includes the application of the Mullican Moisture Mat, the company’s own moisture-retardant underlayment, along with the installation of a Castillian product. When used together, this method allows the bottom of the wood to expand if exposed to moisture, with little to no effect on the floor’s surface. 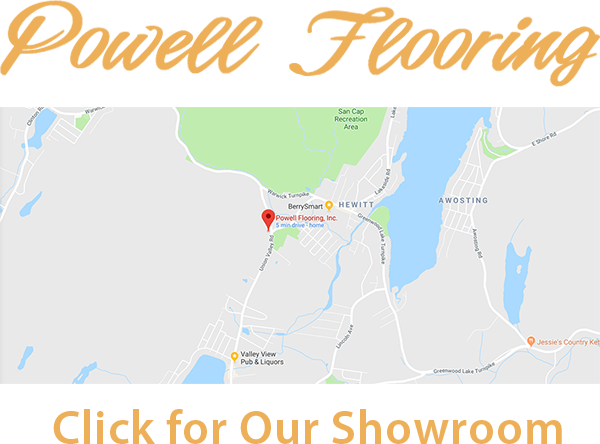 The Chatelaine Collection offers the finest hand-sculpted 3/4-inch solid hardwood flooring, featuring 10 distinctive selections in hickory, maple and oak. Chatelaine combines the artistry of Mullican’s master craftsmanship with today’s modern finishing techniques to bring you vintage style that resonates with elegance and tradition. Available in 4- and 5-inch lengths, this collection is protected by Mullican’s Alpha A’Lumina Real World Finish and carries a 25-year warranty. Offered in hickory, maple and oak, the hand-sculpted beauty and lasting value of Knob Creek is available in five breathtaking selections. Custom crafted from 3/4-inch-thick solid hardwoods, these prefinished solid floors are sure to add a distinctive dimension to your living and work spaces. The Knob Creek Collection is protected by Mullican’s Alpha A’Lumina Real World Finish and carries a 25-year warranty. The definitive design and marvelous selection of colors and widths afforded by the Muirfield Collection add distinction to any room. Each of these floors are custom-crafted from 3/4-inch-thick solid hardwoods and feature a four-sided micro bevel. Offered in hickory, maple and oak, this collection is available in 17 colors and four widths. Muirfield is protected by Mullican’s lifetime-warranty finish, CLARITAGE® Extra finish by PPG Industries, which offers durability and gloss longevity that exceed those for other hardwood flooring products. The Nature Collection is a 3/4-inch-thick solid product that is available in hickory. Manufactured in the United States and offered in random lengths up to 7 feet, the Nature Collection offers a classic hardwood flooring look with a smooth finish. Available in a 5-inch width and five colors, the Nature Collection carries a 25-year warranty. The natural characteristics of the oak species are captured in the color variations, mineral streaks and small knots found in Mullican’s Oakpointe Collection. A high-quality and durable species, oak exudes a warm, rustic feeling. Available in 2 1/4- and 3-inch widths, this collection is offered in four colors and features a four-sided micro bevel. Oakpointe is protected by Mullican’s Alpha A’Lumina Real World Finish and carries a 15-year finish warranty. The Quail Hollow Collection showcases all the natural beauty of the oak species, embracing color variations, mineral streaks and knots. Available in five colors, this solid collection is manufactured in narrow 2 1/4- and 3-inch widths. Quail Hollow is protected by Mullican’s Alpha A’Lumina Real World Finish and carries a 25-year finish warranty. With a heritage of value, durability and beauty, the St. Andrews Oaks Collection is the perfect choice for nearly any room. Available in 9 colors, these lovely oaks are available in 2 1/4- and 3-inch widths, and feature a micro bevel edge. St. Andrews is protected by Mullican’s lifetime-warranty finish, CLARITAGE® Extra finish by PPG Industries, which offer durability and gloss longevity that exceed those for other hardwood flooring products. The St. James Collection features a wire-brushed surface texture in four designer colors — Catalina, Harbor Mist, Seabrook and Sea Salt. This 3/4-inch-thick solid product is manufactured in a narrow 3-inch width and captures the beauty found in the oak species. The St. James Collection is protected by Mullican’s Alpha A’Lumina Real World Finish and carries a 25-year finish warranty. The Wexford Collection is a 3/4-inch-thick solid product that is available in oak. 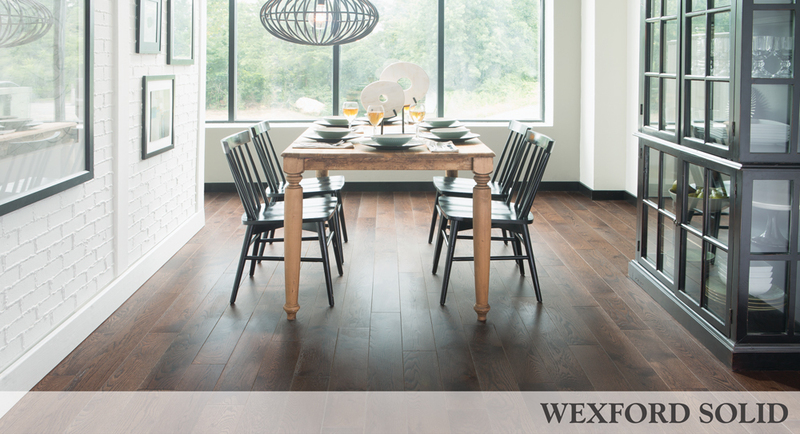 Manufactured in the United States and offered in random lengths up to 7 feet, Wexford offers a classic hardwood flooring look that has been enriched with a wire-brushed surface texture. Available in a 5-inch width and seven colors, the Wexford Collection is protected by Mullican’s Alpha A’Lumina Real World Finish and carries a 25-year warranty. 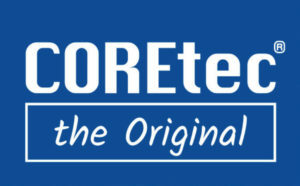 In addition, this collection features the company’s patented Aqua Shield system and lifetime moisture warranty. Williamsburg is a truly authentic representation of all that is good about American-made hardwood flooring. Precision-manufactured from the highest quality Appalachian hardwoods, these finely crafted floors are wire-brushed to create a truly timeless design. 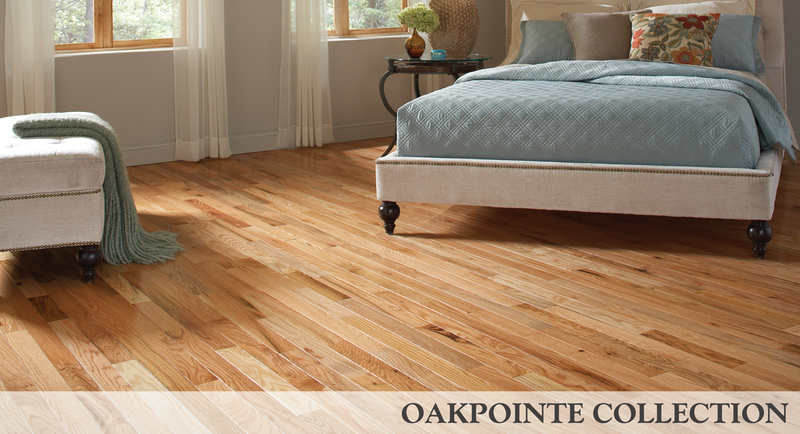 Offering seven selections in hickory and oak, these 4-inch-wide floors add beautiful, textured elegance to any room. The Williamsburg Collection is protected by Mullican’s Alpha A’Lumina Real World Finish and carries a 25-year finish warranty.